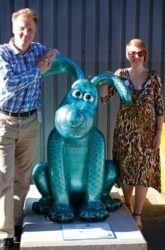 Jenny Urquhart and Bev Cavender have both created fantastic artwork for the upcoming Gromit Unleashed trail. Here they are with Nick Parks and their decorated Gromits. The sculptures will be put in place for the start of the trail on July 2nd. 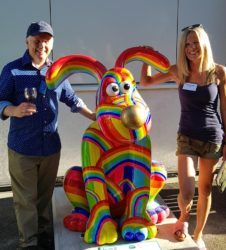 There will be a Gromit by our local Boston Tea Party so drop in, say hi, and check out Jenny’s and Bev’s artwork when you follow the trail. Gromit Unleashed 2 will see Nick Park’s Academy Award-winning character Gromit return to Bristol in 2018 for his second starring role in the award-winning charity’s sculpture trails, but this time he’s not alone; the loveable pooch will be joined by his pal Wallace and arch nemesis Feathers McGraw! The criminal mastermind penguin is on the loose again and the dynamic duo is out to track him down! Gromit is raring to go, but Wallace can’t resist having a nice sit down to soak up the scenery, and enjoy a lovely cup of tea at every opportunity. The trail will feature over 60 giant sculptures designed by high-profile artists, designers, innovators and local talent. 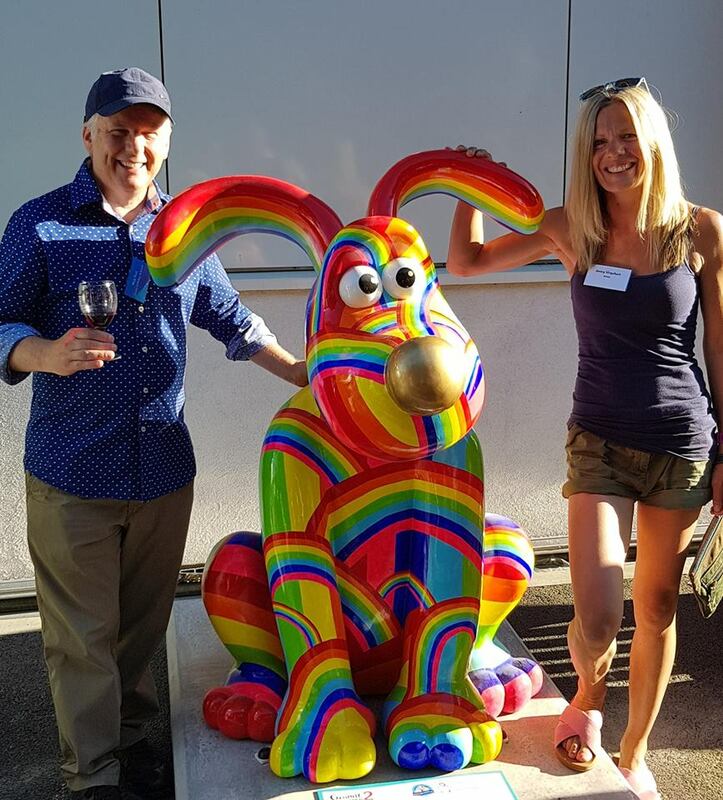 Sculptures will be positioned in high footfall and iconic locations around Bristol and the surrounding area, perfect for a family day out around the city and beyond.